Jordan Brand will release Air Jordan XI retro few months from now, but while we are waiting for it, they are giving us a treat with a new kick that was inspired by the AJ XI. 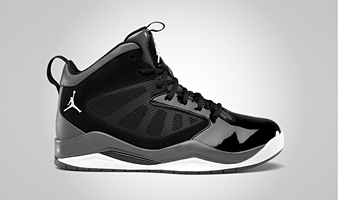 Called the Jordan Flight Team 11, the kick features the same patent leather of the patent-leather makeup of the Air Jordan 11 blended with the Hyperfuse technology to create a light and good-looking basketball kick. Two colorways are set to come out this October – White/Gym Red – Black and Black/White – Dark Grey. This eye-catching kick could be yours for just $115 so make sure to check it out!